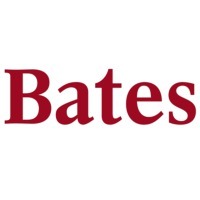 Review: Bates College is a highly selective, private liberal arts college located in Lewiston, Maine, in the United States. The college was founded in 1855 by abolitionists. Bates College is one of the first colleges in the United States to be coeducational from establishment, and is also the oldest continuously operating coeducational institution in New England. Originally a Free Will Baptist institution, Bates is now a nonsectarian institution. As of 2010, Bates is the 10th most expensive college in the United States. Bates College offers 32 departmental and interdisciplinary program majors and 25 secondary concentrations, and confers Bachelor of Arts (B.A.) and Bachelor of Science (B.S.) degrees. The college enrolls approximately 1,700 students. The student-faculty ratio is 10-to-1. Bates is a leader of the SAT optional movement for undergraduate admission. It instituted one of the first SAT optional programs in the nation in 1984. Location & access map for "Bates College"